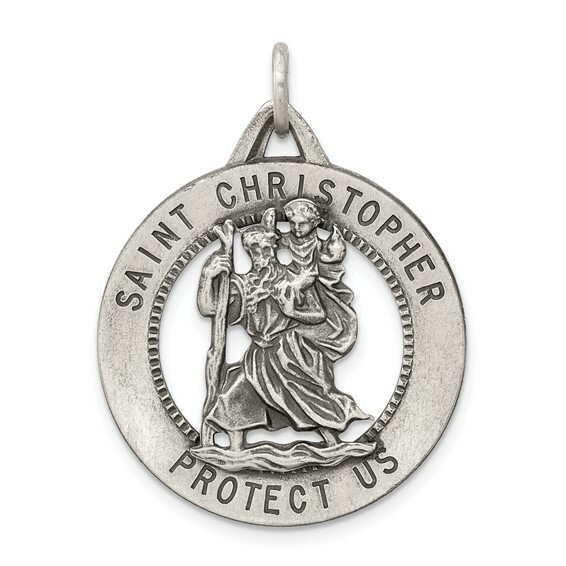 Sterling silver St. Christopher medal is round with an open design. Item measures 1 inch tall by 1 inch wide without bail. This item is the size of a quarter. Antique finish. Made in the USA.